The hospital and clinic and can be a busy place, and it takes a team effort to care for patients. Penn Neurology residents also keep an eye out for each other, and every day there are moments when someone lends a hand or makes an extra effort to help out. 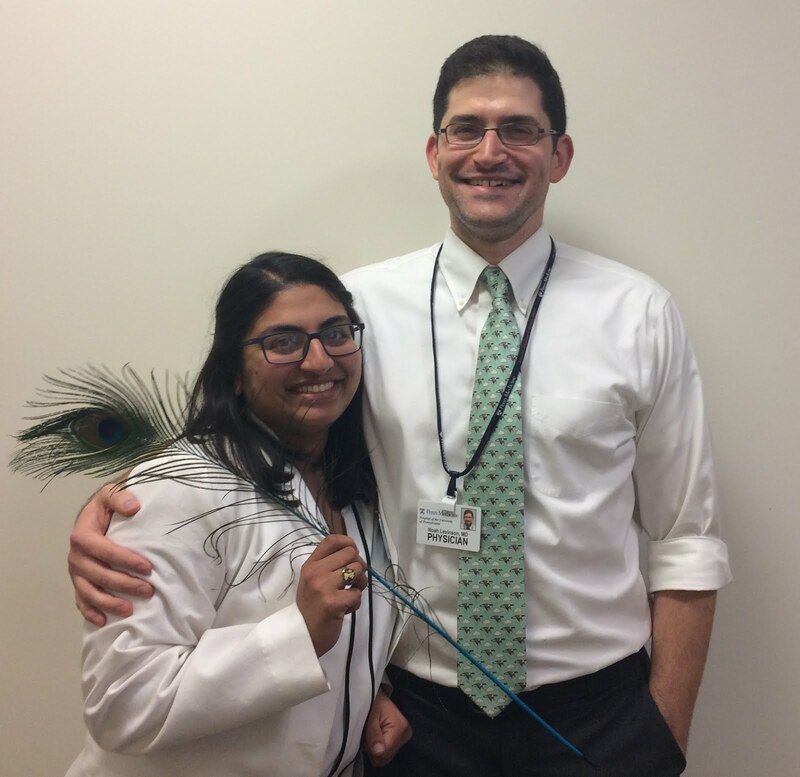 A few years ago, Noah Levinson (Class of 2018, and current neuromuscular fellow) started the "Feather in Your Cap" project to recognize his fellow residents and other health care providers for going above and beyond. Every Friday, the Faculty, Residents, and staff are asked by email to share anecdotes regarding Penn Neurology Residents, Nurse Practitioners, and nurses who made an extra effort to contribute to patient care or team support. Every month Neena Cherayil (Class of 2019)—who now leads the program—compiles these stories into an emailed newsletter. Running now for several years, the monthly "Feathers" message builds community, team spirit, and provides positive feedback from the entire clinical care team.